Water scarcity. A global crisis. 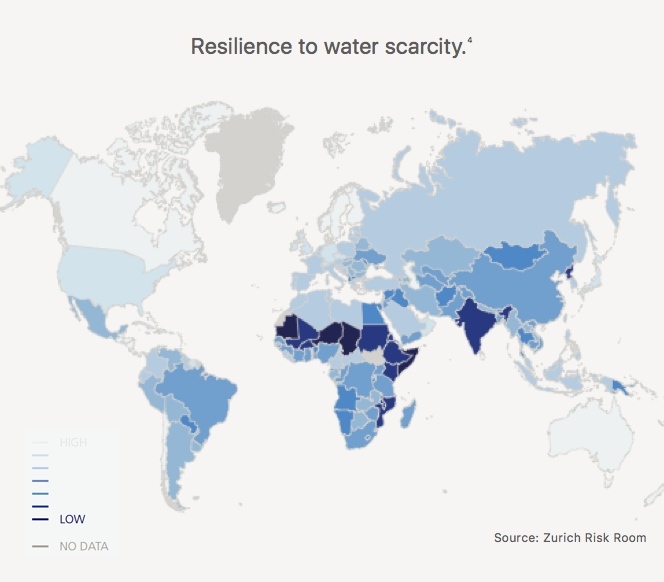 4.3 billion people face moderate to severe water scarcity at least one month of the year. 4.3 billion people face moderate to severe water scarcity problems for at least one month of the year. Lower income countries are most vulnerable as they lack good governance and do not have the resources to invest in water infrastructure. Children in rural India and Mexico were similarly harmed due to water scarcity.2 Increased water scarcity also spreads disease because of exposure to contaminated water and less water for hygiene.3 There are longer term effects as well, including causing nutritional deficits in young children which can permanently affect their learning capabilities. Our existing water solutions are facing problems. Wells are running dry as aquifers are being drawn down faster than they are being replenished. In other cases, the water table has been polluted and well water is no longer safe. Harvesting rainwater is usually supplemental. Many parts of the world experience long dry seasons with little or no rain. Shifting weather patterns make it unreliable. Desalination at scale has been a technical challenge. Traditional technology is only feasible in large, expensive installations suitable for feeding municipal water systems. Treating contaminated water has also been a technical challenge at scale. There are numerous technologies for extracting water from humidity. However, most have only been able to achieve this on a personal or household level. 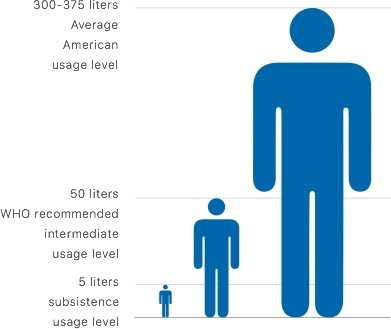 How much water does one person need? At a subsistence level, some people have access to only 5 liters of water per day for all of their cooking, drinking, and sanitation needs. hours a day collecting drinking water. And you think your workdays are long. Sub-Saharan African women spend 16 million hours a day collecting drinking water. Water first. Nothing is second. With fresh water, we grow our crops, cook our food, and nourish our bodies. Without it, we can’t survive. Even as we explore space, the first question about any planet is whether there is a presence of water. Here on earth, many of us take water for granted. Turn on the tap, and there it is, ready to drink, cook, bathe, do the laundry, or water the lawn. Yet there are too many places where it’s not nearly so simple. 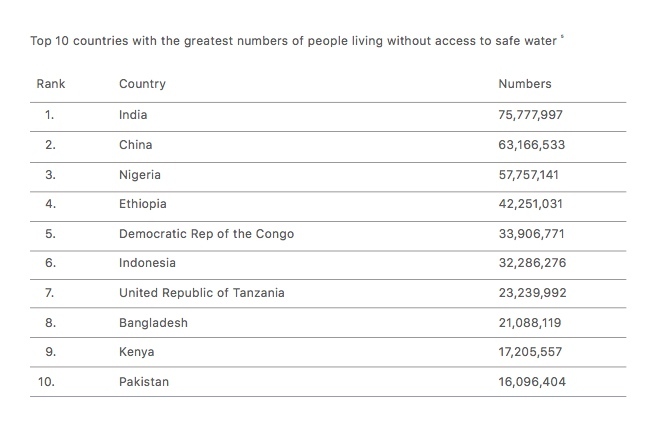 Places where it takes hours to bring home a precious jug of water from a well, where water is contaminated, and often the carrier of deadly diseases. At Rainmaker, our purpose is to serve communities in need anywhere in the world, so that nobody goes thirsty. Uneven distribution of water resources. Across the world, fresh water is unevenly distributed. Most of North America, Europe, Brazil, and even parts of Africa, currently have more than enough renewable fresh water. Other regions are desperately under-served, including North Africa, the Middle East, India, Mexico, large portions of South America, and many islands. There are vast regions looking for solutions that will deliver potable water where it’s needed. Growing populations and climate change add to global water crisis. 10: Worldometers, “China Population LIVE”.